Do you ever look at that old fridge or drier in your basement and wonder how you can get rid of it? Well scrapping these obsolete devices alongside other pieces of metal is the answer to your question. Not only will it help you de-clutter but also give you some extra cash. In addition, by selling scrap metal to metal recyclers you are greatly contributing to the going green movement. In this post, however, we will focus only on getting some money into your pocket. As you consider turning your metal trash into a fortune, there are a few things to note. Some metals are worth the effort while others are not. The scrapping industry pays by the pound. So you need to consider scrap metals that can fetch lots of weight. However, there are those like copper that are not heavy but are still valuable. So here is a classification of the things you can scrap for money to make your work easy. In simple terms, these are metals that are attracted by a magnet. Steel is an example of such metals. They usually do not fetch much in the scrap yard. Even though they are easy to find you’ll need tons and tons to justify the effort and time that you’ve used. These types of metal are not attracted by a magnet. They include copper, aluminium, lead, bronze, brass, and stainless steel. Copper in good condition is the most valuable metal in recycling. Aluminium comes second and can be found from cans, old doors, window frames, and gutters. Brass ranks third. However, it is quite heavy and will bring more cash if sold by the weight. You can also consider stainless steel even though it is priced low at the metal recyclers. Just make sure you have lots of it. Lead may be heavy but since it is claimed to be carcinogenic, it might be snubbed by some recyclers. Most recyclers offer cash for scrap cars. However, don’t be in a rush to give away your car wholesomely. There’s a way to make the most money for scrap cars, which is to sell them in parts. Have a professional tear it down and then with his/her help identify some parts that are still in pristine order. Sell these separately as second-hand parts. The remaining junk can then pass as scrap metal. Appliances such as refrigerators, ovens, cookers, microwaves, toasters suffer mechanical failure quite often. These can be worth a fortune provided you find a reputable recycler. These contain more metallic parts than all the kitchen appliances. If you can find those old models with heavier material the better. They deliver a fortune when sold at the scrap yards. Other things you can sell as scrap metal include old plumbing pipes particularly those made of zinc. Bicycles, paint cans, and broken tools are also worth considering. You may have heavy and high-quality metals that need recycling. However, if you don’t know where to scrap metal for money then you’ll end up getting a raw deal. Once you have your heap of scrap metal, head over to the local scrap yard. The rule of the thumb is to always do your research. Compare the price per pound offered by various scrap yards for different metals. Make use of online price comparison tools to make your work easier. You might also consider a junkyard although they usually focus more on giving cash for damaged car, wrecked cars and car parts. It’s high time you started collecting the scrap metal strewn around your house and selling them. 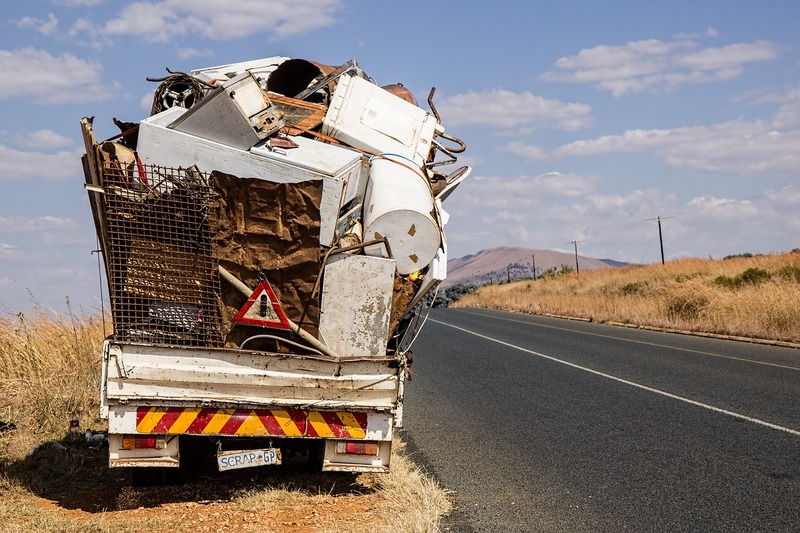 Whether they are in the form of an electrical appliance or damaged cars, scrap metal might just help you out of a financial fix. To get the most out of your scrap, ensure that you clean them to get rid of the surface rust.